The Ghana Revenue Authority (GRA) has introduced ‘the Ghana Revenue Enhancement and Transformation (GREAT) project’ to improve upon professionalism through change in tax management processes. Mr Ken Ofori-Attah, the Minister for Finance addressing a GRA forum for top 100 taxpayers in Accra said government was fully behind the Authority’s initiative to prosecute tax defaulters and evaders. He urged all taxpayers particularly; the taxpayers at the Large Taxpayers Office to set good examples in tax compliance because taxes were essential for nation building and that government would like to see taxpayers as development partners who play critical roles in domestic revenue mobilisation. Mr Ofori-Attah said the GRA was able to collect GH¢16.84 billion between January and June, this year against a target of GH¢17.95 billion; meaning actual collections experienced a GH¢1.1billion (6.18 per cent) shortfall. He added that, with the new projections, GRA was obliged to collect GH¢23.38 billion over the half-year to enable Government meets its revenue target of GH¢40.22 billion for the year. He said Government’s strategy for revenue mobilisation was to enhance performance by the automation of systems, plugging of leakages, improving tax compliance and administration, the review of taxes, and the reorientation of work ethics in line with the country’s traditional laws. He said, Government was backing the GREAT initiative because, information from Large Taxpayers Office showed that while some firms were compliant, other were not, adding, “Filing rates for corporate taxes, for example, fell from 65 per cent in 2016 to approximately 40 per cent in 2017”. 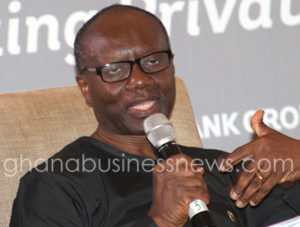 Mr Ofori-Attah said with the contribution of large taxpayers to domestic tax mobilisation exceeding 60 per cent, any default or delay in the payment of taxes by them posed a danger to the implementation and realisation of government’s development agenda. Mr Emmanuel Kofi Nti, the Commissioner General of GRA said, the project was in response to the urgent need to change GRA’s systems to be comparable to the best in revenue administration in the world through simplifying tax payment process and introducing innovation. He said the transformational process was also focused on investing heavily in the training of staff of the GRA to build skills and building a mindset of constant improvement through sourcing for ideas to change as well as improve GRA. Mr Nti said there was the urgent need to increase revenue mobilisation to meet growing expenditure, adding that, it could only be achieved through cooperation with the public particularly with taxpayers at the Large Taxpayers Office. He said, the days of impunity about non-compliance with tax laws were over, adding, “GRA will henceforth go after tax defaulters and evaders with full application of the tax laws especially with the grace period granted through the tax amnesty having expired”. As part of the new initiatives, the Commissioner General said, GRA would be naming and shaming tax defaulters, amidst full application and imposition of sanctions including prosecutions, garnishing and distress actions.